Attention streaming movie marathoners: There are major changes coming your way. This month Netflix announced they'll be increasing their plan pricing. The trend of rising prices for streaming content is a growing one. Cell phone providers like Verizon, AT&T and T-Mobile are all planning to eliminate unlimited data plans in favor of tiered pricing. With experts predicting most cell phone users won't be hit by the changes for a few years, Netflix is taking most of the heat. Going to see a movie in the theatre isn't exactly a steal, but there are some ways around high prices. Popular cinemas like AMC and Regal both have more than 100 discounted gift cards available at GiftCardGranny.com. 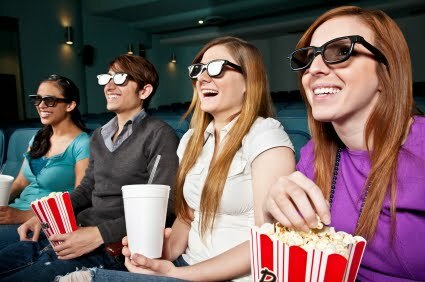 Deal of the day sites like Groupon and LivingSocial occasionally offer discounted movie theater tickets for as little as $2 per person. That's a pretty cheap movie night outing and well worth the price. Just make sure to skip the popcorn and candy -your wallet and waist will thank you.